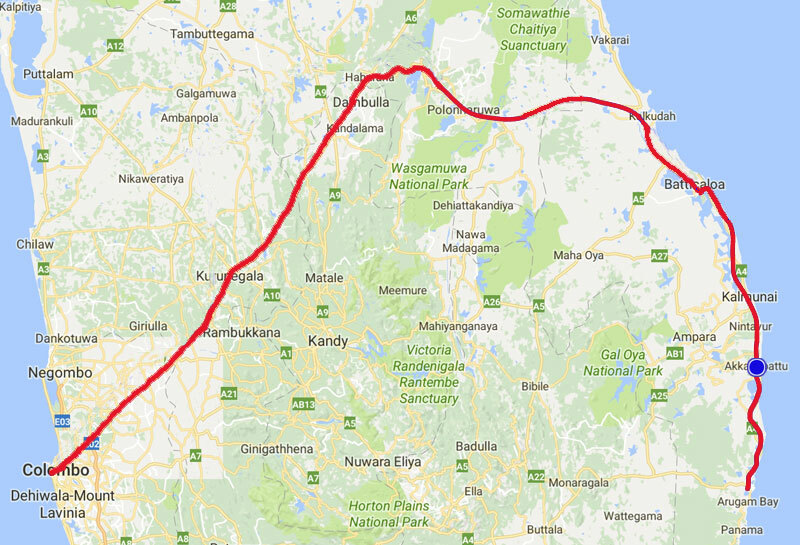 There is no easy way of getting to Arugam Bay. 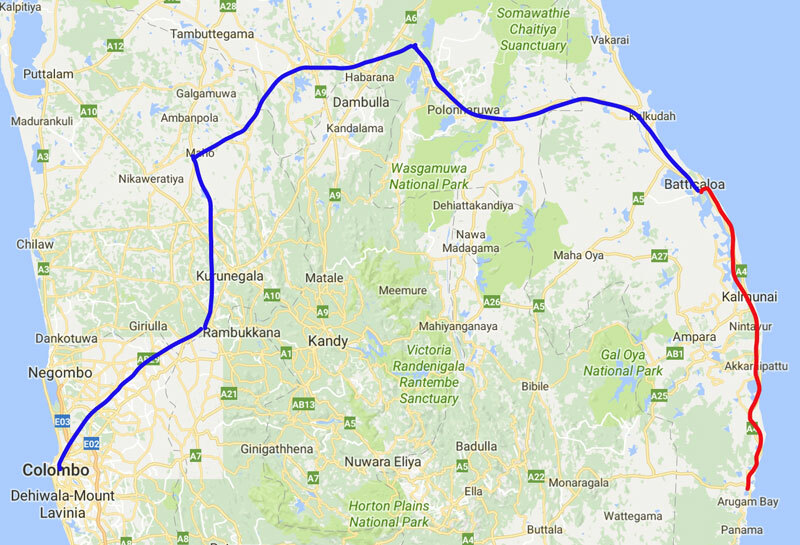 From the capital Colombo it is 220km as the crow flies but 350km by the quickest road. This will take anywhere from 6 to 16 hours depending on the time of day and the number of stops. 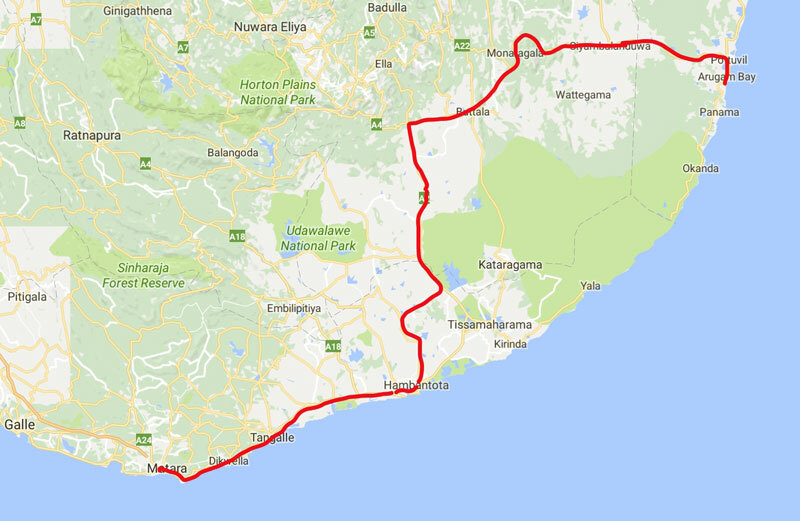 For the latest info on taxis and prices see the Latest News post Colombo to Arugam Bay by Taxi 2019. By far the best way is to take your time and make a couple of overnight stops on the way. However, if you really need to travel here in a day there are multiple options available. 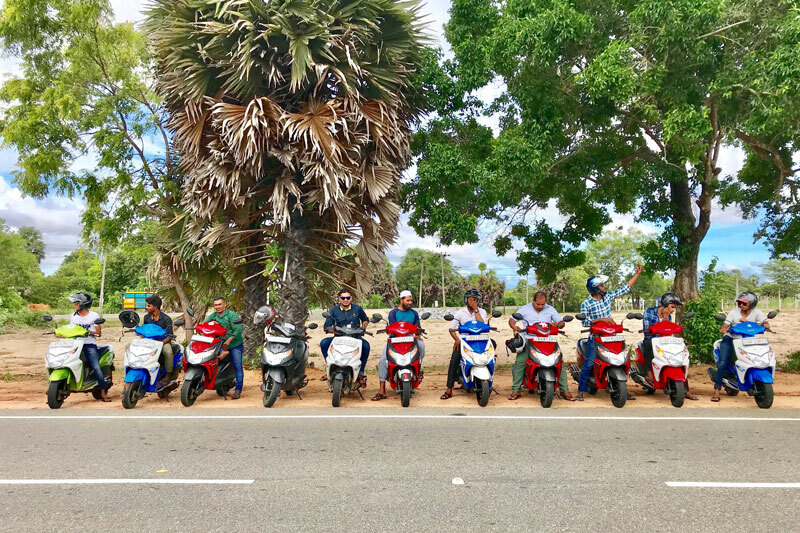 There are two options to find a taxi; request a quote on this site and support the local Arugam Bay taxi operators or go to our other site srilankacaranddriverhire.com and request a quote from a wider range of drivers. If you want to share a taxi try srilankataxishare.com or their Facebook group.